Live show: The Hangover straps one on again! 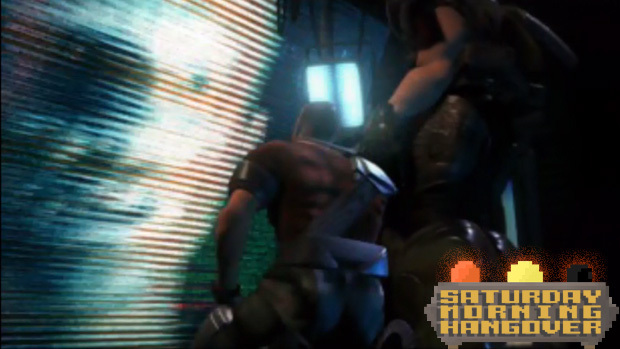 Since we had so much fun on last week's Saturday Morning Hangover, playing Apocalypse on PlayStation and enjoying the ample voice talents of the one and only Bruce Willis, Jordan and I have decided we're going to keep going. Prepare yourself for giggles a-plenty as we fight the forces of darkness with the combined power of big guns and over-enthusiastic delivery of one-liners. But before it can be, "time to jam," we have a selection of Xbox Live Indie Games demos to play. We'll poke at Penny Arcade's On the Rain-Slick Precipice of Darkness 3 and use one button to save the dignity of the Revolution in Washington's Wig. I'm also keen to check out Pulse: Fight the Night, a vector-style shoot-em-up with constantly decreasing visibility. On the other hand, we'll also experience all of the fun of Las Vegas (provided you can't gamble or drink) in Avatour - Vegas. and I'm pretty sure those are tentacles on the cover of Mystic Forest, which always bodes well. It all kicks off at 10am Pacific over at Dtoid TV! Come join the chat, hang out and give us the strength we need to survive this level of awesome.